Tonight marks the end of the road for Detective Harlee Santos on NBC‘s Shades of Blue TV show. The writers knew that this would be the final episode so they had time to try to make it a satisfying series finale. Did the cop series receive a fitting send-off? Would you have watched a fourth season? Shades of Blue stars Jennifer Lopez, Ray Liotta, Drea de Matteo, Dayo Okeniyi, Vincent Laresca, Hampton Fluker, and Sarah Jeffery. The mystery thriller follows Harlee Santos (Lopez) and her work “family” of Brooklyn detectives, including the enigmatic Lt. Matt Wozniak (Liota), whose shades of blue skew grey. It was announced back in April that season three would be the end for Shades of Blue. According to Lopez, she had made the decision to end the series. The star and an executive producer on the series, she said, “I have enjoyed producing and starring in this beautifully complicated world and playing such an empowering yet flawed character – a woman, a detective but, first and foremost, a mother.” At the time, the network said that season three would bring the story of Lopez’s character to a fitting conclusion. While NBC no doubt liked having the Lopez and Liotta vehicle on the network, it’s never been a hit in the ratings. The first season averaged a 1.17 rating in the 18-49 demographic with 5.79 million viewers. Season two attracted a 0.76 demo (down 35%) with 4.30 million (down 26%). The abbreviated third season of 10 episodes has been drawing a paltry 0.51 in the demo (down another 33%) and 3.16 million (down another 27%). Had the series not ended on its own, it’s hard to imagine that the peacock network would have renewed it anyway. But, what do you think? Should Shades of Blue have ended? Should NBC have renewed it for a fourth season — potentially with limited involvement by Lopez? Would you have kept watching or, was this the right time to end the show? More about: NBC TV shows: canceled or renewed?, Shades of Blue, Shades of Blue: canceled or renewed? I would have loved to have seen Shades continue…it was an excellently written show with a tremendous cast. 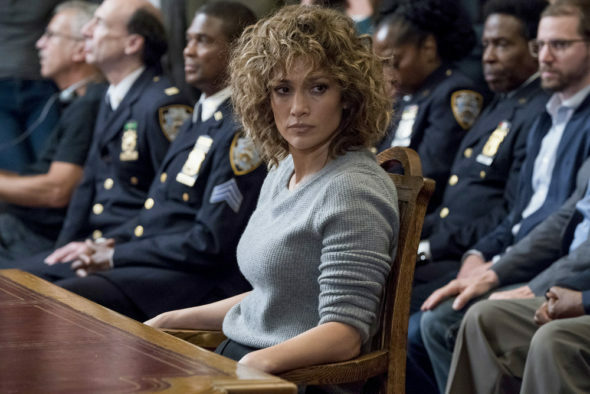 Either NBC execs had their heads up their butts, or someone famous in the show wanted to move on and do something less time constraining…Hello J-Lo…talkin’ to you. Yes I would love to have seen it continue even without Lopez. I think Liota and the rest could have taken the show and run with it. The ending was sucky and very difficult to understand. I wish I had missed that episode.